The tomato (Lycopersicon esculentum) is a perennial fruit native to tropical areas of South and Central America. You can grow as annuals in summer gardens in the United States, but they cannot survive autumn frosts. Grow them as perennials in frost-free Southern climates, indoors or in greenhouses, although they so not constantly produce fruit. The tomato is thought to have originated in what is modern-day Peru. Its botanical name translates as “wolfpeach” because it is a member of the Solanaceae family of plants that includes the deadly nightshade. The tomato was long thought poisonous. The original tomatoes were small and more likely yellow than red. Their seeds later spread to the Mayan and Aztec civilizations. The Spanish explorer Hernando Cortez took tomato seeds back to Spain in 1519 where they were planted as ornamentals. Tomato plants thrived as perennials in the warm, frost-free Mediterranean climate and tomatoes eventually became staples in many diets. Older tomato varieties, those with growing habits closest to their perennial ancestors, are called indeterminate. They set clusters of flower buds on their lateral branches, but not on their tips. They grow tall, produce abundant foliage and their fruits are slow to mature and ripen. They produce scattered ripe tomatoes throughout the growing season. Newer hybrids called determinate plants grow flowers at their terminal point. They grow shorter and their tomatoes mature and ripen quickly in crops rather than being scattered. Determinate tomato plants are preferred for growing as annuals in areas with a short growing season. Since tomatoes are tropical perennials, their seeds do not germinate easily in cool spring soil. That is why the seeds are germinated commercially in greenhouses and seedlings are sold in garden supply centers. If you live in an area with cool spring weather, wait until after the last frost and the soil is warm before you plant seedlings. If a cold wave sets in, protect your seedlings by tenting them with black plastic mulch. A tomato plant growing as a perennial indoors or in a tropical climate eventually wears out the soil after 4 or 5 years and stops producing tomatoes. If a tomato plant is given proper nutrients, it keeps on growing and producing. A single tomato plant grown at the Epcot Center in Disney World in Orlando, Florida, produced 32,000 tomatoes annually after 16 months of growth. This plant grew a stout, shrublike stem and the weight of its tomato-bearing branches had to be supported by an overhead lattice. University of Illinois Extension; Tomato; Ron Wolford, et al. 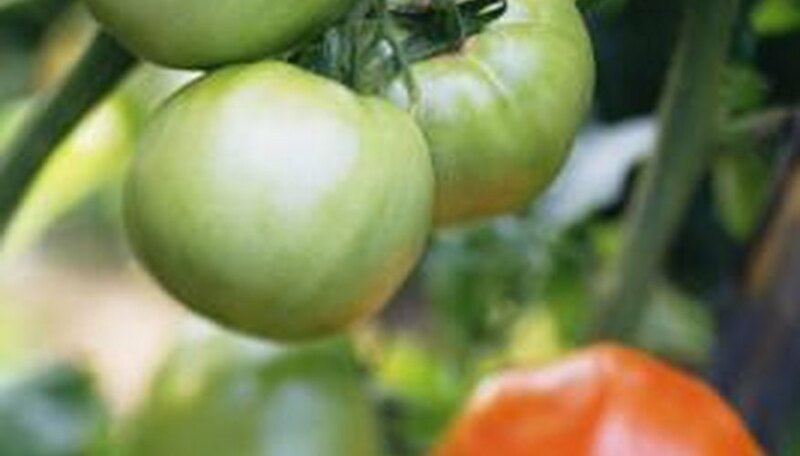 Hardy Gardening.com: How to Grow Tomatoes?